Which Snake Venom Can Shrink Your Testicles – 3 YEARS AFTER THE BITE?! The Russel’s Viper or Chain Viper, Daboia viper snakes kill more people across the globe than any other snake. Their fangs are long, strong, and permit a lot of venom to be transferred in an instant. ONE OF THE COMPLICATIONS OF A BITE FROM THIS SNAKE IS THAT A MAN’S TESTICLES MAY SHRIVEL (testicular atrophy), AND THERE MAY BE A LOSS OF PUBIC HAIR. Even 3 Years AFTER THE BITE! (Source – WHO – World Health Organization publication, “Guidelines for the Clinical Management of Snake bites in the South-East Asia Region.”) Here is an abstract from a paper written on the topic. Needless to say, this is NOT a snake you want to be bitten by. THAILAND LOCATION – This species is located in Central Thailand – meaning Bangkok and surrounding areas. There is no reason it couldn’t be found outside that range because ranges often change as snakes are discovered in places they previously were not found. They do prefer dry air to humid, and are not found in dense forest. This and other species of Daboia are also found across much of Asia. 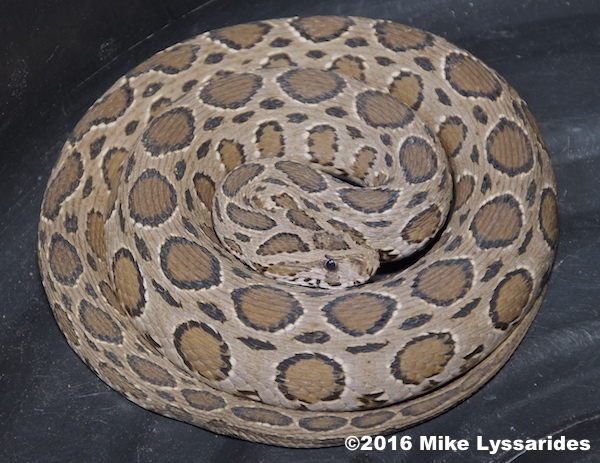 CAUTIONS – The Russell’s viper is a primarily nocturnal snake that crawls along the ground. It is found on paths, sidewalks, in backyards, and really almost anywhere. Do not walk at night without a flashlight. Do not walk in high grass or plants where you cannot see clearly to the ground. This is the type of cover these vipers may be found in, day or night. ANTIVENIN – monovalent, “Russell’s Viper Antivenin.” Developed at the Queen Saovabha Memorial Institute in Bangkok, Thailand. Click Here. 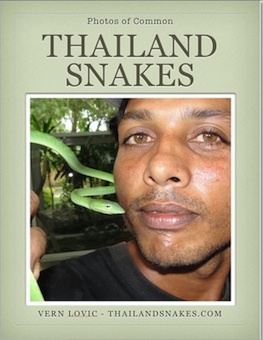 FREE EBook – Photos of Common Thailand Snakes. FREE PDF or iBOOKS for iPad / iPhone. Image Copyright ©2011 Tom Charlton. 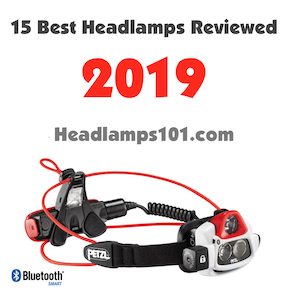 Author VernPosted on December 12, 2016 March 27, 2018 Categories Thailand Snake NewsTags Amazing snake facts, Daboia siamensis, Russel's viper, testicular atrophy, venom effects, venom symptoms2 Comments on Which Snake Venom Can Shrink Your Testicles – 3 YEARS AFTER THE BITE?! Russel’s viper found in Sa Kaeo province near the Thailand border with Cambodia. Length: Maximum of 1.7 meters. Russel’s around 1 meter long are common. Range: These snakes are found around Bangkok, West, North, and East of Bangkok. The Russel’s photos shown here are from Sa Kaeo province near Cambodia. 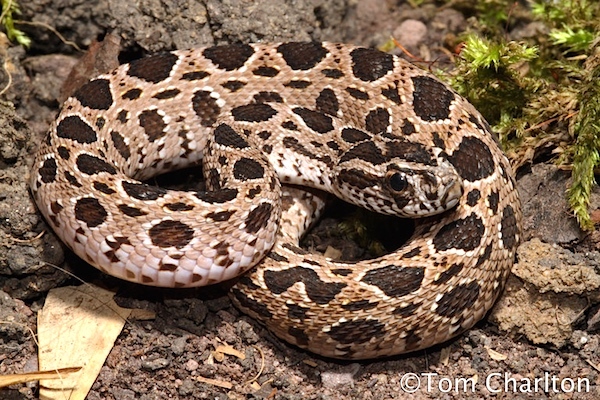 Habitat: These snakes are terrestrial and prefer grassy lowland, and open areas of all sorts. They prefer dry air and ground. Siamese vipers are not known to be found in dense rainforest or other very humid areas often. Food: Mostly rodents, but will target lizards and frogs as well. Defensive Behavior: A loud hiss can precede a bite. 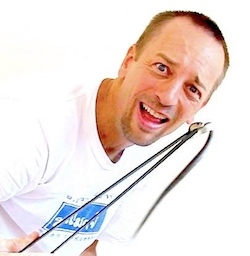 When striking, it coils first and strikes. This snake is strong, so bites can be deep. Simple rubber boots are probably not sufficient to stop the fangs from penetration. Russel’s viper in typical ambush posture. Venom Toxicity: Very strong. The rate of envenomation is estimated at 80% of bites. That’s high in comparison to Malayan pit vipers for instance, which is closer to 50%. Coagulopathy is common and necrosis is a possibility. Renal failure is common. 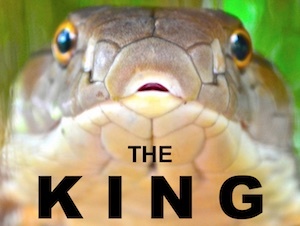 Russell’s Viper Antivenin is made at the Queen Saovabha Memorial Snake Institute in Bangkok. Offspring: Need information for this section. Notes: Across the globe, it has been estimated that bites from this snake kill more people than any other. This snake (Daboia vipers) are present across Asia and their bite is deep. They have strong fangs and their venom is very strong. Russel’s have thick necks and they are the thickest of the vipers in Thailand, by far. Color of Russel’s tends to be shades of brown. A rather unknown occurrence – years after a bite, a man’s testicles may shrivel up, and there can be a loss of body hair. Info here. 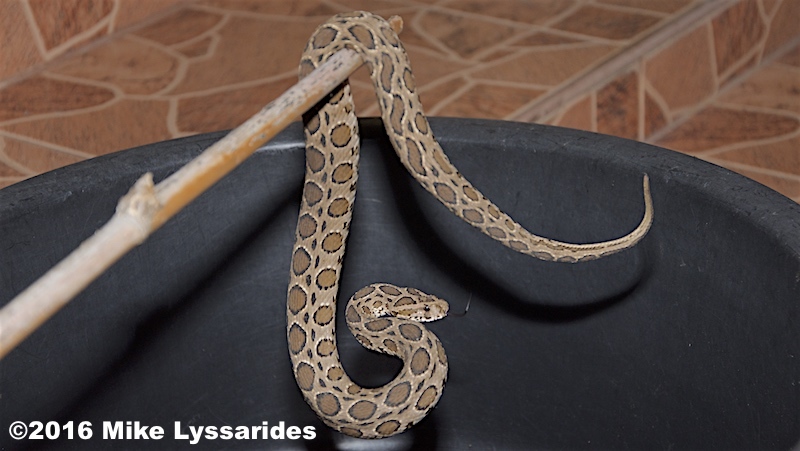 Video of Russel’s Viper – If you have a video of D. siamensis at Youtube or some other video sharing site, do let me know. I’d love to replace the video below with another better one!